Flotter (2006), Koploop and Grom (2007) were previously released on 3 inch cd-r.
Onkruid (2008) appeared on Onkruid / Sanctuary split lp with Matt Davies, and was made for an installation (with Stil Buitenruimtes) at Polderlicht 2008. There are no words to describe this album of Machinefabriek. Just pure & magnificent Sound! 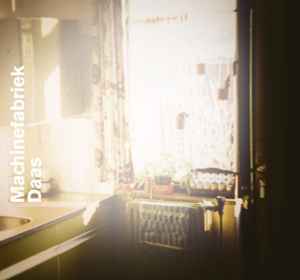 Daas is five haunting ambient pieces by Machinefabriek. The title minimal track travels along in a minimal form creating melancholic thoughts and settling the listener into the recordings; entwined with some reverse sounding strings about halfway through. Flotter creates a lot of space for imaginative imagery and flows through its eighteen plus minutes – the final tracks move along in ten minute plus sonic creations. Onkruid has some interesting melodic lines with interesting timbres and atmospheres, very spacious. You will now from the initial tracks what the album consists of, there are no real surprises within the album, just good ambience and atmosphere. Another good release from Cold Spring.